SharePoint Forums WebPart : What’s going on? OBA Sample Application Kits Release to Web! What’s the best way to use OneNote? QUESTION: I Need a Good SharePoint Admin. What should I be looking for? EndUserSharePoint.com: Is there a bug in the sync between Outlook 2007 and SharePoint? EndUserSharePoint.com: When do I create a new Site Collection vs create a new site? 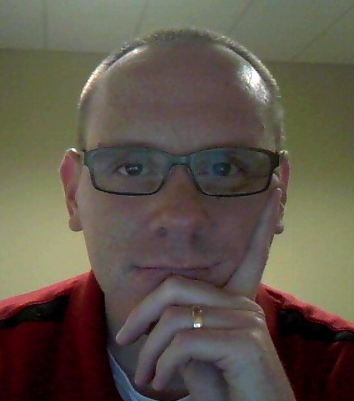 Thoughts about IIS (and now SharePoint!) : “12 Folder” From Here! Want to create Office documents on the fly? Below are a couple links where you can search for SharePoint Server 2007 Hotfixes. The form cannot be opened because it requires the domain permission level and it currently has restricted permission. Contact the form author the resolve the issue. Forms that require the domain permission level contain features that access information on a network, such as data connections, linked images, and code. After a little bit of playing, to open the form in InfoPath, right-click on the XSN file in Windows Explorer and select “Design”. 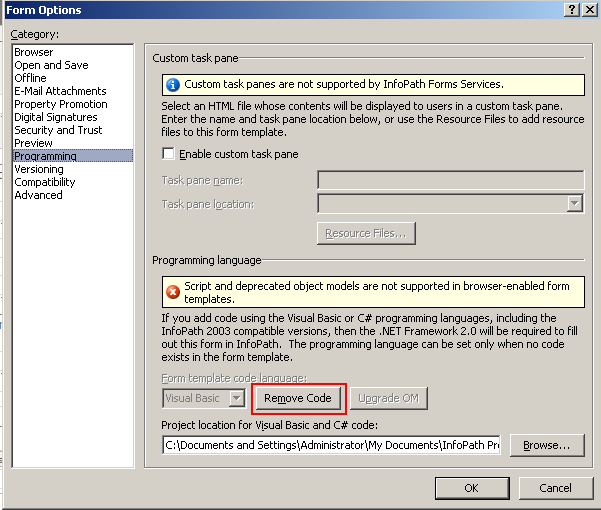 InfoPath Team Blog : Calculating Elapsed Time…without code! I always questioned Twitter. Why use it? Who cares what you are eating for lunch? Assuming you can wade through some of the mess (I’m as guilty as others), there is a lot of value in it. There have been many times the past few weeks when I had a particular issue, I asked a question, and someone in the SharePoint community helped me out in short order (@fallenrogue, @richfinn, @ferringer, @nickswan, and @DougWare for starters). Brilliant! An instant messenger for the SharePoint masses. Tonight I put together a list of all the SharePoint Twitter’s who I am following. Please let me know of any mistakes or omissions. Let’s build a community of SharePoint Twitter’s and help each other out! Update: Looks like Lawrence Liu created a SharePoint-specific Twitter account. Something that was next on my list :). EndUserSharePoint.com: How do I get a specific file to always be on top of the library list? EndUserSharePoint.com: How can I create and Employee of the Day slideshow? Scaling MySites; How Many MySites per Content DB? This morning I was creating an InfoPath 2007 form and wanted to add an OnChanged event handler for a dropdownlist control. Bear in mind this is my first foray into InfoPath programming – never had a need previously. I right-clicked the dropdownlist control and selected Programming – Changed Event. Visual Studio Tools for Applications fired up but the project was VB.NET. No offense to VB but I would rather program in C#. Need to find a way to remove the current VB project and create a C# one instead. What may happen when I crawl MILLIONS of files in MOSS/MSS? Part II – Why I need X64 instead of X86? Don’t forget to dispose your SharePoint Objects! I have been working on a few custom Web Controls/Web Parts. One of the controls is a stock quote which updates every 10 minutes (or whatever the user defines). This is done by using an UpdatePanel and Timer. In my custom application.master page, I have the stock quote Web Control. When I attempt to view the People and Groups page in Site Settings (/_layouts/people.aspx?MembershipGroupId=4), I receive the following error. What’s weird is I can access other pages within _layouts without issues. My thinking is there must be some extra things going on in the people.aspx page which is causing the error. I will review it over the weekend. Anybody else seen this? Press and hold down the connect button until the light flashes an alternate green/red (this is the step I missed). If the “Mouse” device is not in the list, search for the mouse. When it is found, select it. Select to not use a passkey. It should now be setup. Now I can use my external wired keyboard, usb drive for Readyboost, another external HDD for VM’s, plus my favorite mouse. SharePoint SUSHI – It’s not raw fish! PowerShell Quickie – What version of SharePoint 2007 am I running? SPWeb.ProcessBatchData. A list is a list is a list? This could be old news and everybody knows it but I was banging my head against the wall. I was attempting to display a stock quote on my client’s site. I found a feed and if I took the Url, pasted it into a browser, and refreshed it, the data would update every 5 minutes or so. I then took the feed and used it in RSS Viewer Web Part and the update would not match the browser – even after I refreshed the page. Turns out the issue is the OOTB RSS Viewer Web Part has a built in cache interval of 30 minutes. Duh! Hopefully this saves someone some time. Thanks to John Ferringer for keeping my sanity. Still alpha so there may be some limitations. It seems to work in my Windows Server 2003 VM too but I have not done tons of testing. Thanks to help.net for the find.